Launchpad (Aarohan) of PGDM (e-Business) Batch 2018-20 consisting of 120 students was held from 4th June 2018 to 6th June 2018 at MET. 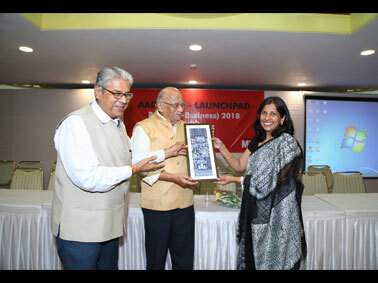 Chief Guest, Mrs. Maya Patole – General Manager, Metro inaugurated the proceedings. In an enlightening lecture, she indicated the working of Metro through a series of slides, difficulties faced by the Corporation, rehabilitation of displaced families, planting trees to replenish trees cut for the work, etc. She informed the students that a large number of ladies - almost 30% including the CEO - are female. Since the batch boasts of 40% girl students this insight was particularly appealing. MET Trustee Mr. Pankaj Bhujbal was kind enough to grace the occasion. Subsequent to inaugural session, eleven more session addressed by specialists in the field of finance, marketing, human resources, logistics, GST were conducted. Last session on every day was conducted by Alumni from various organisations, who had specialized in Operations, Marketing, Finance, HR and IT. 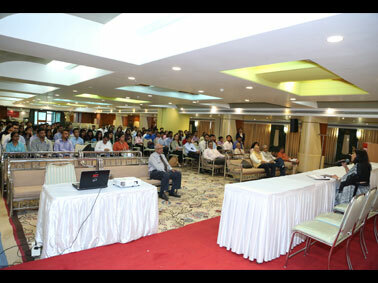 Students got an insight into their life at MET, the leading B-school in India they joined in.